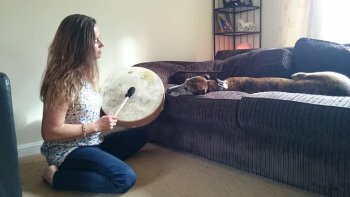 Reiki Drumming is still pretty new to the UK; there aren’t very many practitioners as yet, but interest is growing in this incredible powerful technique. Reiki Drumming is the brainchild of Michael Arthur Baird of The Infinite Light Healing Studies Centre in the US – it’s a fusion of Reiki with Shamanic medicine drumming. When the practice of Shamanic Drumming is combined with the energy of Reiki, we have a powerful yet gentle healing method – The Reiki Drum Technique. Drumming for healing and meditation is an ancient practice. Research now supports how brain activity is affected by drumming, and there are studies showing how the sounds of a drum can help with a myriad of emotional traumas/conditions, as well as physical illnesses, most notably within neurological conditions like Alzheimers, Parkinsons, etc. When neurological damage has been suffered, drumming has been shown to promote neuronal connections in the brain. Some patients with Alzheimer’s and dementia have shown periods of greater focus and coherency for a short time after drumming. Biofeedback research has indicated that drumming (even for short periods) can influence brain activity, bringing you into the meditative alpha state and thereby reducing stress. Some research suggests that drumming can improve right brain functions like creativity and intuition. Drumming has been linked to increased immunity. One study, led by cancer expert and researcher Barry Bittman MD at the Mind-Body Wellness Centre in Pennsylvania, showed that drumming increases the presence of cancer killing cells (Natural Killer Cells). Research also shows that drumming can increase the production of the body’s natural painkillers. 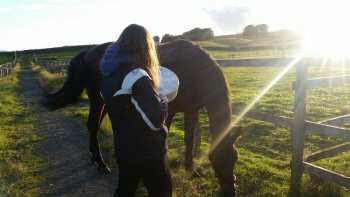 Reiki Drum Healing – the drum is used intuitively over the client’s body, followed by hands on Reiki treatment which integrates the work of the drum. This is an incredibly deep healing method. 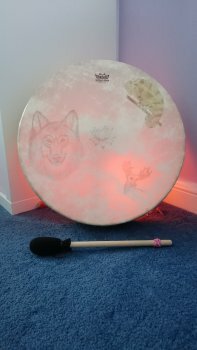 Reiki Drum Journeying – the drum is used to take the client to a deep, meditative state to receive insight, spiritual guidance and healing. Mental/Emotional Reprogramming – the drum treatment is combined with the use of powerful positive affirmations to support growth. This is an incredibly powerful, energy intensive course and as the method is rooted in shamanic practices, you shall experience several journeys and work to further your own self healing. You may find that many blockages are released within the course of the weekend. The course runs from 10am-5.30pm (approx) on both days. As the work is so energy intensive there will be tea breaks mid-morning and mid-afternoon, as well as a 45 minute lunch break. There is a maximum number of 4 participants per course so that plenty time can be dedicated to everyone. Okuden (Reiki Second Degree) or above – any lineage. No previous drumming or musical experience is required. The course will qualify you to work professionally as a Reiki Drum practitioner. The Reiki Drum Master Practitioner Course costs £280, this price includes your very own drum, course manual/workbook and certificate. The deposit is £70, with the remaining £210 paid to your teacher on the weekend of the course.